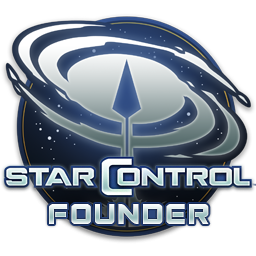 Thank you Stardock for making SCO. I am so stoked. I will buy all the DLC you make, so please, make many! I am seriously considering calling in sick tomorrow so I can play as soon as possible. The whole team will be hanging out tomorrow if you have any questions. This was an exciting journey ! Can't wait to immerse myself into the SCO universe and feel like the little kid I was when I first played SC2! Yeah I pre-ordered last week after seeing some of the updated screenshots. I'm looking forward to playing it. Been a long time since I played a star control game. This was one of my favorite games back in the Sega Genesis days... cant wait - bought and just awaiting tomorrows launch! The Wait is killing me and GOG shows nothing to download where the beta was, i thought they would just release a patch for the beta so you can play the full game. So i guess i'll have to wait til it releases tomorrow to download the game. We are all on pins and needles here. We just finished a big Pizza party here this afternoon. The teams have done amazing work on this and we're incredibly excited to share with you what we've done. Can't wait to play this tomorrow, after my medical exam. What time exactly will it be available EST/CST/GMT+ ? Just it's nearly 7pm on the 20th of september in Australia and nothing, so just wanting to know when exactly should i tune in to organise my steam to start downloading ? in about 7 hours, they meant the 20th but usa time. From what i've heard they usually release games around 1pm eastern time. Of course i hope they release it earlier then that but who knows for sure. I am getting the patch now. I don't know if it is a roll out or all at once. HAVE FUN GUYS!